LeaseHawk is a platform that helps to monitor and manage all communications of the leasing process to accelerate lease conversion. "Fast , Easy and Effective"
The mobility of the app is wonderful! I can use it from home and not have to worry about missing a lead! The app can be over run sometimes and it moves very slowly. I like that I can access from my cell. I also like that I can call residents from my cell. I do not like the fact that we cannot remove someone. I also want to be able to add a current resident without being asked if a tour occurred. I would also like for it to tell me when a duplicate phone number is saved in the system. It should say that it is a duplicate and then ask if I would like to merge them. Also, someone should not be able to check "no response needed" without typing notes or editing. I hate that sometimes it requires you to answer something that may not apply. It forces false information and throws everything off. Leasehawk should be able to merge with our onsite software. I also hate that I can't just tell you the problems that I am having without trying to come up with positive things or benefits. When you force information, you create problems. It has potential, especially if they take my complaints and suggestions seriously. "LeaseHawk is a very good way to track voicemails and many other things. " I love the fact that you can play back previous phone calls for information that you may have missed previously. It really makes for a good learning experience to go back and listen to your phone calls with tenants and vendors so that you know what may need to be corrected. I don't have any dislikes. I really like LeaseHawk! I feel that this software really helps keep up with the amount of calls a company receives on a day to day basis and helps to keep up with visitors that are entered in the system after a tour. I would highly recommend LeaseHawk if your company has several phone calls on a daily basis. It really is a benefit to our company and makes you feel very organized. My favorite part about the software is being able to go back and listen to previous phone calls so that I can grade myself on how I speak to our residents and others who call in. It helps me keep track of tours/visitors and helps me to keep up with prospects that I may need to reach back out to. It has helped me improve the responses I make on the phone and has really made me feel better about talking on the phone on a day to day basis to prospects and or vendors. What Multifamily solution do you use? I have worked in student housing for the past two years and have used leasehawk for the full duration. I like how contacts can automatically populate not only to onesite but also in the contacts own leasehawk profile. Their number, name, and contact info will all be there ready to be saved. This program is very simple to use. Everything is saved so you can easily refer back to it later. I have noticed that when you save an appointment in leasehawk and set a reminder that it won't always remind you. 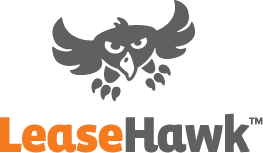 "An Easy app that helps you respond to leads faster than ever and manage all relations in one"
"LeaseHawk Is A Win! " LeaseHawk was a game changer for us! We could now track all calls, emails and texts coming in and be aware what was missed and instantly get back to them. It helps us analyze more of our reporting stats and see what areas we were lacking in and what we were best at. LeaseHawk is a great company to work with and has really helped our business get a step ahead in the apartment industry. We truly appreciate their work in creating this awesome system! There were a lot of hiccups along the way, which also is due to them being new and learning. Any changes to email templates can be a little frustrating and confusing due to their implementation of things. Again, as they are learning are growing there were a few things we discussed with them that we'd like to see implemented or fixed in the future. They take your feedback seriously and tried to implement as much as they could for us. "Helpful but the grading isn't alway accurate"
I don't like how sometimes calls are graded incorrectly. The grades vary depending on who is doing the grading and some are graded more harshly than others so there is inconsistency. When there is an issue you can reach out to the company to dispute a call but usually by the time it is corrected the management in my company has already filed the scores. Being able to listen to see how my calls and other peoples are is very helpful for training purposes. It also helps to have the calls recorded should the need ever arise. Being able to add contact information of that caller, adding notes and categorizing the callers. Being able to send SMS messages to residents, send follow up info to any prospects. Does not always show info, either immediately or at all. Constantly "loading", but jams up. Is an extension from chrome and not an actual installed program. Great product to use when starting out and for accountability. Being able to provide better customer service since we know who is calling and from notes, what was the issue last discussed. "LeaseHawk makes it easy to respond"
As a supervisor for multiple properties, I like that I can log into the system from anywhere and respond to residents through the app. This allows the call to be recorded and for the property staff to see that a call was returned. It also allows us to respond quickly and efficiently making for a better outcome. I feel that the setup process could be handled more efficiently. There was a lot of confusion at first with the new system implementation but the LeaseHawk staff was there to assist at every turn and we were able to get the program up and running. The only item that I would change, and it can be turned off if desired now, is the screeching hawk sound. This is problematic if you are with clients and it goes off or if you are driving down the road and all the sudden that sound comes on - it can be frightening! I would suggest that any potential customer thinking about adding LeaseHawk look at the features that are offered compared to what is in place now. When we saw the amount of traffic we were missing by not using it we felt that it was a good move. Every company has different needs and this may not work for everyone, but we have liked the results. Utilizing LeaseHawk has allowed us to capture traffic that we would have lost previously. It also allow for a quicker response to our residents and prospects as we are focused to have the 'Action Required' number at zero or as close to zero as possible at the end of every business day. My team has really loved the texting feature that lease hawk has to contact our residents, prospects and vendors. It has been an easy, user friendly tool to use. Residents and prospects have loved the texting tool. There have been some issues with linking leasehawk and Yardi Voyager together which we have been working through. We suggest you really implement this towards residents as well as vendors- not just prospects if you are in the property management industry. There is an app for the iphone as well to use off site. We have implemented leasehawk to make communication easier and more efficient for our prospects and residents at our community. I don't like the scoring--there are many calls where we should have received points but lost them and had to put in an appeal because certain questions were hit. "Great Tool for Sales Calls, Training and Monitoring"
Everything is accessible. You can search by name if caller info is entered correctly. You can also search by phone number. Adding notes to each call as you are on the phone with the point of contact. Being able to create follow-ups, appointments and the like, on the spot so you don't forget. Does not always log every single call, text or email. Great tool for tracking calls. Easy to recall and make notes of calls. Knowing who the caller got their info from. Tracking conversations, time and dates. I like the flexibility and control of the reporting function and the ability to provision our own numbers. Also, customer service is at the top of their game. I hear that we will be losing the ability to provision when our system is updated. It's harsh to say that I dislike this but there are definitely pros and cons to it, on our end. We are tracking calls generated by our marketing efforts; a level of detail that we didn't have before using this product. While there is a lot to love, the transparency is my favorite feature. We can easily see what our communities are doing and quickly implement fixes where needed. The reporting has an amazing customizable dashboard. Getting local numbers can take some time when you are in a crunch. We have implemented a fix behind the scenes that gets around that and works for us. Tell the team about your immediate needs and wishlist. They are happy to find a way to accommodate you. Being able to better monitor and train our staff. We can see where our learning gaps are and use it as a training tool. We are also better aware of what ad sources are bringing the most, and best, traffic which is invaluable. "Leasehawk provides excellent support and fantastic performance." I enjoy the ease and simplicity of the Leasehawk platform, including the CRM. When setting up a new property within the system, I particularly like the quick response of the support team. There is nothing I like in particular, save perhaps the lag time between receiving local and toll-free tracking numbers, which is no fault of Leasehawk's team, but just a side effect of the number generation. We've streamlined the response process for our leads, and it's helping our managers and regional staff monitor response times. I like the playback phone call services. It's a great training tool. I also love the CRM. This way you don't miss a lead and it makes it easier to respond to all of them. The small screen that the site gives you when you are pulling up reports. You have to download it in excel then pull the report up in excel to view it full screen. LeaseHawk is a great training tool when being scored on calls. The program saves lots of time when it comes to responding to leads and LeaseHawk gives you the tools to make it easier. CRM- Never missing a lead and that you can respond right in CRM to your lead. I really like that we can create profiles for our residents and communicate with them via text message. I dislike that there is not a previous resident category. We have a lot better communication with prospects from all of our online outlets. I love that you can text residents to inform them about a package in the office. I don't dislike anything about LeaseHawk. It's amazing everything you can do on this app! LeaseHawk is the way to go! I recommend everyone to get this app! You can easily send eblast as well as text messages to prospects and residents. Its amazing how well the app tracks phone numbers and records all conversations which comes in handy when you want feedback!! "Fantastic tool, especially for someone new to leasing like me!" Leasehawk has been SO helpful for me, being new to the leasing business and housing as a whole. I love the CRM app and use it constantly to keep organized and review my own calls daily. The training for leasehawk was a little monotonous, perhaps active practice in addition to the online training would be helpful. Leasehawk has been very helpful in solving any marketing and targeting problems that we've had. It helps us to avoid missing leads completely, and being able to listen to calls answered by the automated system and catch those people has been fantastic for leasing. Our numbers have gone way up since the whole staff here has gotten CRM. "Its fun but its a Work in progress "
We were looking for tool to measure, refine and improve the leasing experience. Reports can sometimes be challenging. Custom reports are not always available. "Great tool for managing properties"
It is a great mobile tool for managing relationships for properties. I wish there was a better way to catalog information on a desktop app. Ask for a free trial of LeaseHawk, or at the minimum a guided walk through. It is a great way to log all inbound and outbound communication including emails, calls and texts, manage appointments & tasks, and send quick & professional emails. From call recording, to source tracking, leasehawk has been my most helpful tool thus far in property management. Sometimes, the scored calls are off. But they do the best they can. I have had all my leasing consultants take leasehawk training that's available right on their site. They have all gotten better telephone scores after doing so. I love being able to review calls and send texts to our residents for quick, last minute work orders. I like being able to track what my staff are telling people through the call recordings. Sometimes, leasehawk will not record all calls, so that's a bit frustrating. We can refer residents back to calls and say, "you were notified of this renter's insurance requirement, etc etc. "Excellent source for mobile lead tracking"
The ability to answer calls on the go, without giving my personal cell phone number to prospects. Being able to label contacts as different lead sources is great. Having to click on each and every contact within a particular lead in order to check as "no action required" instead of being able to select all and drop into a respective category. The CRM is pretty user friendly. There are a lot of options, but not too hard to learn. I think the actual leasehawk website and phone tracking is confusing at first until someone shows you how to use it. The CRM sometimes glitches and does not show that we have responded to people and marks them as action required. What I like best is the ability to text and listen to voicemails. It's helpful that all past correspondence with residents and prospects can be easily tracked. I do not like the scored calls assessment criteria. Knowing how the system works, you are actually given an incentive to end calls quickly rather than help the caller find alternative options. How easy it is to access tracking information and the usage of the Leasehawk Ace app. I wish it was easier to search clients through the Leasehawk ace app. I wish it was slightly faster to use. We are able to better communicate with our prospects, especially through the use of the leasehawk text app. Finding a better tool to help our track our sales reps calls to customers and to have notes with those calls. "Good Service if used correctly"
The system is great and really helps track marketing dollars and traffic numbers. If it is not utilized by the teams correctly and not updated all the time it doesn't provide accurate information. It's only as smart as what you tell it! "The experience hasnt been "simple". " I like that you can refer back to all former communication. The app is not simple and quick enough. LeaseHawk should be more simple for the user. In certain areas it requires too much information OR too many clicks to proceed to the next phase. In the leasing business, you need to be fast and efficient. Every moment counts. Again, you can refer back to previous conversations, which is great, bur we feel as though in order to be more effective, you must make the application more simplistic. Lease Hawk is user friendly and smart. It is easy to navigate and also great with tracking and reporting. Nothing. We have had no issues since introducing the system over a year ago. it is very easy to use, I like the nice design that is has. nothing , the app and the window version work amazing ! I am able to get in contact with prospect much more quickly ! I am able to chat with the really quickly ! I like the text messaging feature best. Residents and prospects respond great to a text. Removing a resident should be easier, like for a move out. The limited characters for a text message also. It would be nice to be able to send something a little longer. I love the texting option and the speed. There's nothing that I dislike about Leasehawk! It's easy to contact people the way they want to be contacted. I also love that we get graded on phone calls so we can find good ways to improve! I love that I can enter prospect details directly into Lease Hawk while conducting the interview over the phone. Lease Hawk can accumulate a lot of unnecessary calls from vendors/residents. We are improving our tracking of prospects as well as follow-ups and setting appointments. It takes time to connect to my other leasing channels. It's great for texting and email templates! Connecting with prospects. It's helping make the process quick! It's easy to track calls and text prospects. Very easy to e-mail and text with residents as well. LeaseHawk benefits would be the ease of tracking and responding to prospects and residents. I have been most impressed with the information they provide to help you understand how to work the site. I don't have any complaints. My experience with leasehawk has been all positive. Determining what advertising avenues are actually helping us. A better snapshot of ROI on a monthly basis would be nice to have automatically. Marketing dollars working? Able to review where the dollars are most effective. I love that it keeps track of all of your phone calls and you are able to organize them however you would like! I hate the noise it makes when it opens and every single time you get a new message! It is very beneficial for keeping track of the prospects I have and the issues we receive from residents by phone call. "Great App. Really easy to email, text and call Prospects and Residents"
"Fantastic tool to connect to prospects." The user friendly website LeaseHawk has set up is my favorite. Also the reach it has is great. There is nothing I don't like about LeaseHawk. Leasing a multi family apartment community. "Ease of Use of LeaseHawk"
Simple to learn, all information in one hub. Some messages are lost or do not show up quickly. Clear, concise lead tracking; easy to use functionality. Some issues with Yardi functionality/crossover, but issues are being addressed. Very easy to use CRM software. Definite better follow-up on lead tracking. * We monitor all LeaseHawk reviews to prevent fraudulent reviews and keep review quality high. We do not post reviews by company employees or direct competitors. Validated reviews require the user to submit a screenshot of the product containing their user ID, in order to verify a user is an actual user of the product. Hi there! Are you looking to implement a solution like LeaseHawk?